'Another Life’ is the debut album from Amnesia Scanner, the Berlin-based music duo, performing arts group, experience design studio and production house, created by Finnish-born Ville Haimala and Martti Kalliala. 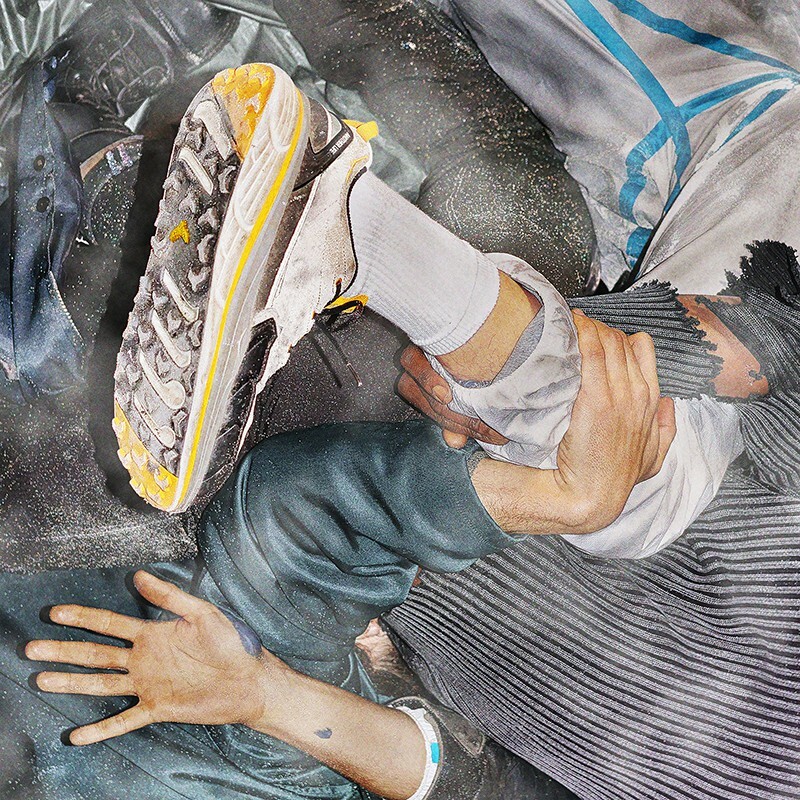 Founded in 2014, Amnesia Scanner’s approach is informed by a unique perspective on technology and the way it mediates contemporary experience. System vulnerabilities, information overload and sensory excess inform their work, which has found a home in both clubs and galleries. Turks, ‘AS’ and ‘AS Truth’ (2016), distilled this immersive environment into an abrasive collection of cryptorave tools. The most striking detail of ‘Another Life’ is Amnesia Scanner’s use of both human and inhuman voices. The latter is provided by the latest addition to the production unit, a disembodied voice called Oracle, which represents the sentience that has emerged from Amnesia Scanner. threat, lending a precarious gait to the song’s staggering rhythm. The album’s first single, ‘AS Chaos’, is its most powerfully direct track, with Pan Daijing’s English and Mandarin vocals taking over for Oracle. At its peak intensity, as in ‘AS Faceless’, Amnesia Scanner’s doombahton overheats into nu-metal-gabba. Amnesia Scanner has presented work at art institutions such as ICA London, HKW Berlin, and the Serpentine Gallery Marathon in London. They collaborate with PWR Studio for their design and visual direction. The AS live experience is co-created with Stockholm-based Canadian designer Vincent De Belleval. When unplugged from the Amnesia Scanner stream, Haimala works as a composer and producer with a wide range of musical and visual artists, and Kalliala co-directs the think tank Nemesis.